Moorside Design is a family business run by Shirley and Barrie Nichols and daughter Sarah. 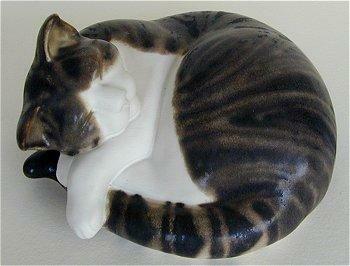 They have been producing ceramic cats since 1982 in the village of West Burton in Wensleydale. Sarah and Shirley studied sculpture; Sarah at Edinburgh College of Art, and Shirley at Leeds and the Slade School, London University. 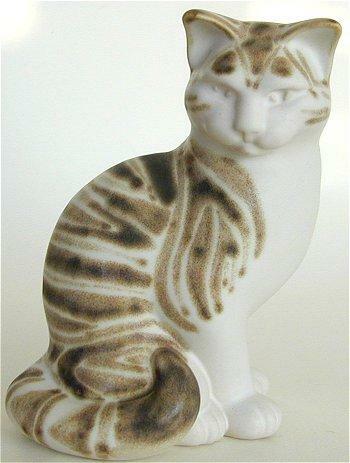 With this academic and practical training combined with over eighteen years experience in making sculptural cats, they are able to produce work which is acutely observed and finely modelled. 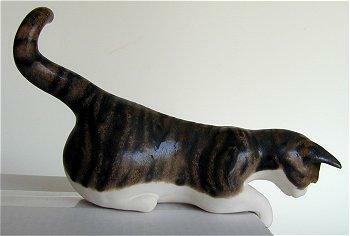 This is sculpture imbued with the dignity and independence of the cat.